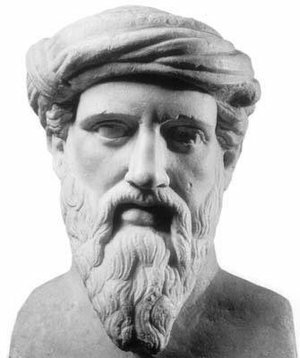 Pythagoras calls three the perfect number, expressive of “beginning, middle, and end,” wherefore he makes it a symbol of Deity. The world was supposed to be under the rule of three gods, viz. Jupiter (heaven), Neptune (sea), and Pluto (Hades). Jove is represented with three-forked lightning, Neptune with a trident, and Pluto with a three-headed dog. The Fates are three, the Furies three, the Graces three, the Harpies three, the Sibylline books three; the fountain from which Hylas drew water was presided over by three nymphs, and the Muses were three times three; the pythoness sat on a tripod. Even the Bible consists of the Old Testament, the New Testament, and the Apocrypha. Our laws have to pass the Commons, Lords, and Crown.